Oerlikon S 20 X 11 ORB: fired case next to unfired cartridge, showing expansion of case neck on firing through subsidiaries abroad, especially in Switzerland. (including anti-tank weapons) it did not achieve great success until the rearmament boom of the late 1930s. By this time it was available in three main forms, all of which retained the API blowback mechanism. 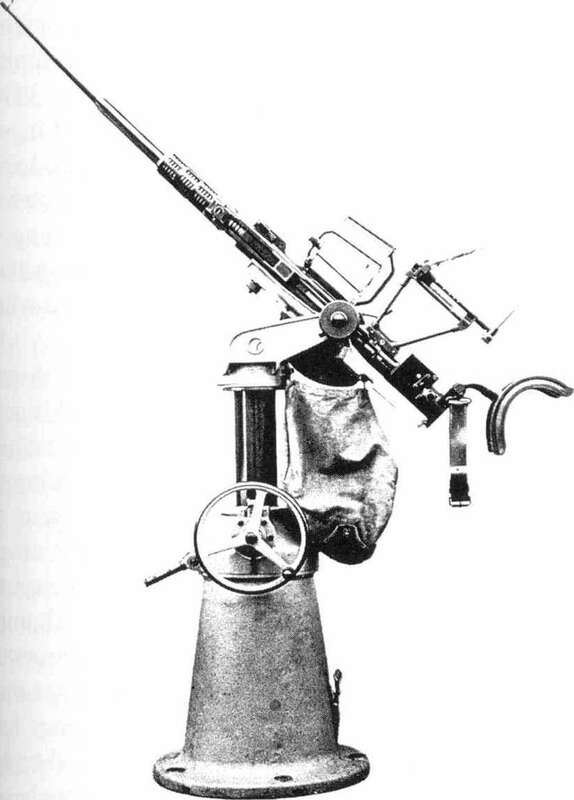 The first form was the Swiss Oerlikon FF aircraft gun, a development of the Becker, which originally retained the Beckers 70mm case length, but was later extended to 72mm. This is sometimes referred to as the FFF, to distinguish it from the FFL and FFS. The term FF, applied to all Oerlikon s aircraft guns of the period, stood for flugelfest, or wing-mounted, as that was their intended use. The FF was adopted by the Japanese Navy as the Type 99-1. Manufacturing rights were also obtained by Ikaria Werke of Berlin who considerably modified the design, lengthening the case to 80mm (although the cartridge remained approximately the same overall length). The gun was used in various forms by the Luftwaffe as the MG-FF. While it was per-cussion-primed, the bolt was released electrically by means of a solenoid. 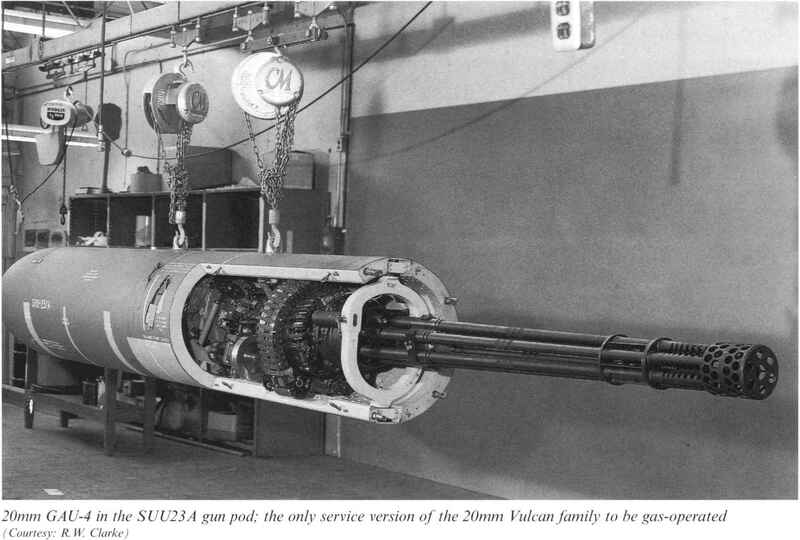 The next size up produced by Oerlikon was the mechanically similar FFL aircraft gun, using a still longer and more powerful version of the straight-cased, rebated-rim cartridge (20 X 100RB) introduced by SEMAG, which was adopted and further developed, with a case length slightly extended to 101mm, by the Japanese Navy as the Type 99-2. The original Swiss version (the SEMAG Type L) weighed 43kg and achieved 670-700 m/s and 350 rpm. This was later improved in the FFL to 30kg, 750 m/s and 500 rpm. firm s liquidation the patents were bought by ly known as the Type SS series), in which form it another Swiss company, Oerlikon (named after the has survived to the present day. Zurich suburb in which the company was located). ufactured in the UK during the war) and four aircraft guns; the Japanese Navy's 30mm Type 2, the Japanese Armys 40mm Ho-301 and two German guns: the 3cm MK 108 and the experimental 5.5cm MK 112. Of these, only the Polsten and the MK 108 saw significant service. There were other designs of blowback cannon developed in both America and Germany, but they were not successful. achieve the velocity. This inevitably entails a longer delay before the projectile clears the muzzle, which in turn requires a heavier and slower-moving bolt to keep the fired case within the chamber for that period. The consequence of this is a lower rate of fire than with short-barrelled low-velocity guns (to some extent, this is true of all automatic weapons, but in locked-breech types the effect is less severe as the mechanism only needs to allow for a fractionally longer delay before opening the breech; the weight of the bolt does not have to be increased). During the Second World War the shortcomings of the Oerlikon system became apparent. The rate of fire was limited to little more than 500 rpm in all versions because of the nature of the design, with the exception of the heavily modified Japanese Type 99-2 Model 5, which was too late to see service. In principle (within the limits indicated above) it is possible to accelerate the firing rate of API blow-back guns by lightening the bolt and strengthening the spring. However, the Oerlikon design featured a recoil spring which was wrapped around the barrel in the interests of compactness. This required the use of a strong yoke connecting the front of the spring to the bolt, and this effectively added to the weight of the bolt, preventing much weight reduction. The MK 108 and MK 112 used a different design in the interests of achieving a higher rate of fire. In experiments towards the end of the Second World War, German technicians increased the rate of fire of the admittedly low-powered MK 108 from an already respectable 600-650 rpm to an astonishing 900 rpm in the MK 108A, not far short of the rate achieved by the far more sophisticated MK 213C revolver gun. This was only made possible by the guns very short barrel, which reduced the length of time the fired case had to be held in the chamber and therefore permitted a relatively light, low-inertia bolt to be used. Such a bolt could only be designed by departing from the barrel-mounted spring and associated heavy yoke of the Oerlikon, so a change was made to a spring mounted behind the bolt, ironically similar to the original Becker patent. A consequence of the short barrel was a vivid muzzle flash, so the barrel usually came fitted with a long tubular (lash hider, which varied in length according to installation requirements.